I found this adorable pattern at the Moda Bake Shop by Jessica Kelly. 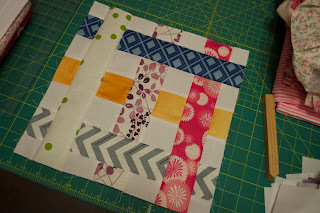 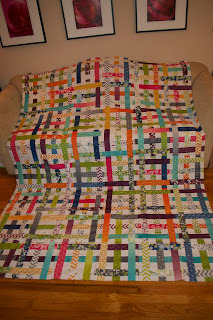 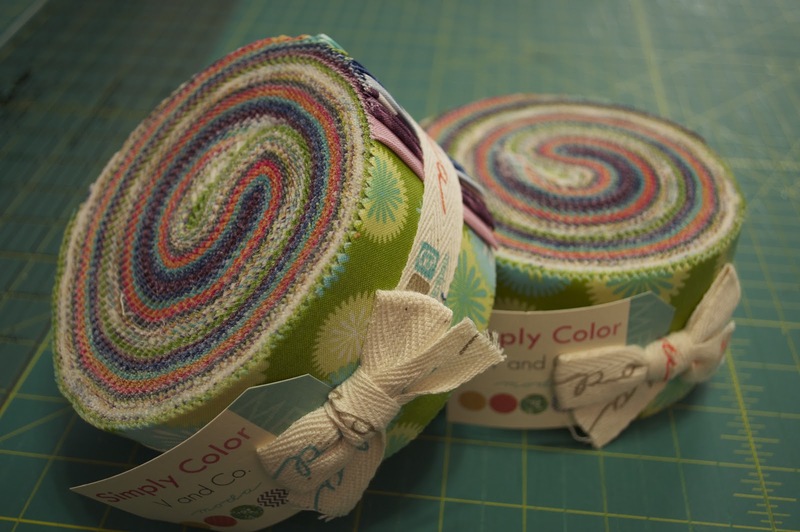 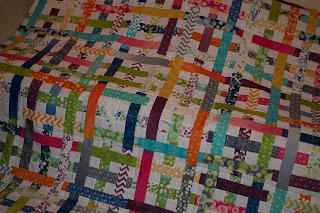 I loved the Simply Color by V. & Co. jelly roll fabric that she used so I decided to try my hand at this complex looking quilt. 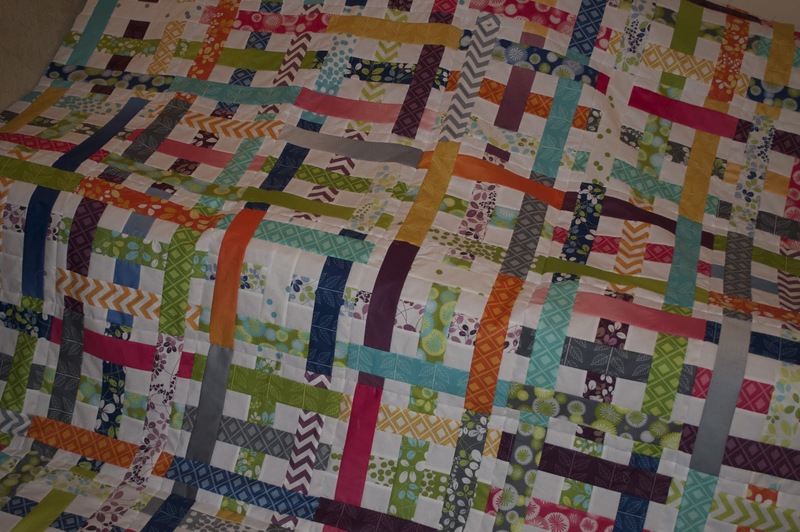 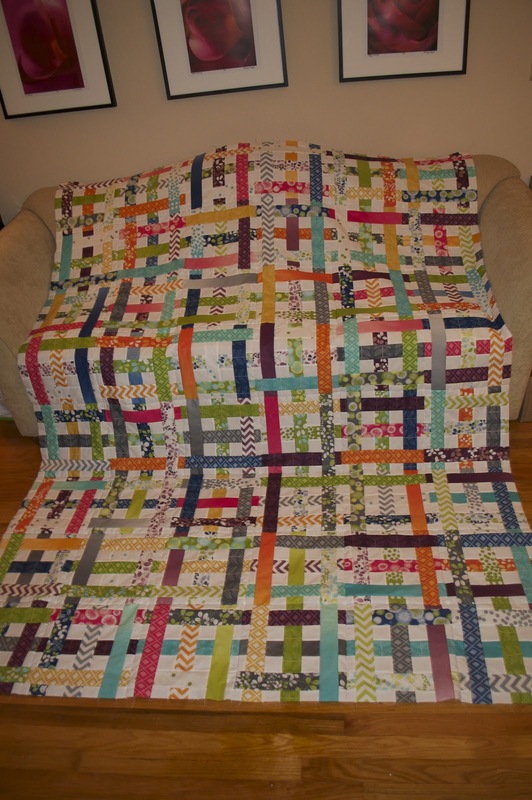 Jessica's instructions were great and I ended up with a beautiful twin sized quilt (72x96).